That in itself is a huge feat and I know it is not something that will be achieved easily or without work, but I am determined that 2013 is going to be a new start, and I am going to get better. Explore every possible avenue in escaping depression and anxiety until I can be the not-so-anxious Elephant. There are many many more things that I want to do in 2013, but right now, at the end of 2012, I have learnt that the most important thing for me to do next year is look after myself, which is resolution number 5, but resolutions 2, 3 and 4 also would fit into that category! So now I’d like to raise a metaphorical glass, and say – Here is to hope for the future, and a better year next year! *How’s that for a “bold, I-don’t-care-who-knows-it-because-there’s-a-meteor-a-comin’ assertion”? ***Well, I’ve already paid for a gym membership! I am sabotaging my relationship because of my ex (not intentionally.) I start arguments over nothing, and am convinced he’s going to hurt me/leave me/cheat on me, despite having no evidence of this. In relation to 5, I am being very irrational, and I know it. I hate the ex for what he’s done, because I can’t get through a week without being frequently triggered. Even though I feel like giving up, I can’t. I can’t let people down. In conclusion, things are not very good in Ellie land, but even though I want to, I can’t give up yet. **I had to ask for an extension for coursework, but they were nice so it’s ok.
***Feeling hopeless about the doctor situation, they can’t seem to do anything to help. If 5 medications haven’t helped, why would a 6th? But I’ll give her the benefit of the doubt and give this current one (number 5) another 2 weeks. 1. I am rubbish at everything so there’s no point in trying. 2. I am fat. Fat and ugly. Yuck. 3. I have lots of work to do, but I’m too stupid to do any of it. 4. I want to eat lots of chocolate and nice things, but that will make 2 worse! 5. I won’t be good enough to go to Germany in August. 6. I am a failure. I don’t know why I can’t seem to stop these thoughts coming into my head. They are not helpful at all, and they are making me feel like retreating to a dark room and a duvet. But in other news, Ellie is doing an experiment on herself. 1. Campaigning – I have to make posters, flyers etc. 2. Talking to people – I am going to go round to lots of the houses on campus to ask them to vote for me! 3. Doing a speech in front of people!!!! – This is the majorly scary thing. I don’t do public speaking, I’m awful at it. 4. I might not win (there are 2 other people going for the same position) which would mean dealing with FAILURE! Whilst this is a pretty radical thing to do, I would really like to be on the JCR (just not the path to get there!) so I’m going to give it my best shot. *The JCR is a group of students who help run the college, and includes roles such as President, Wellfare officer, Communications officer and social secretaries. I think I’ve been transported to a parallel universe! Things I expect to happen just don’t. And things I don’t expect to happen, do! 3. I feel good!!! This is the biggest and best change from the normal universe. I feel like I can do stuff, and live my life. I feel like I’m going to be ok (and happy eventually) which is a feeling I have lacked for a long time. I no longer feel completely hopeless, AND I’ve been able to socialise – and enjoy it! Last night I went on a society night out, and enjoyed it. I didn’t even mind being in a crowd (in the club) and I didn’t worry throughout the night, I just enjoyed it! So, whatever’s happening in this weird turn of events, I like it! I’d be very happy to stay here, and although I am beyond confused, I’m not going to question it! I feel like I can take on the world! I have an incredibly busy life at the moment***** but I don’t mind. I want to do EVERYTHING! I now feel like I am done with being in the background, I want to make myself into someone, instead of being no one (which I always have been.) I feel like I can socialise, I even feel like my year abroad is a good idea!! This is all really good, I just hope and pray that this is it – I’ve got out of my depression, and I’m not going back. I’m not naive enough to think that that is the case. I am fully expecting something to go drastically wrong soon, but I’m content to just go with it, and see what happens. If the fall comes, it’s going to be really hard, but I’m actually starting to let people in, so IF the fall comes, I WILL have people there to help me. The only negative thing in this strange world, is that I am very easy to anger at the moment. I get wound up by the smallest thing, and I can be argumentative at the moment, which is unlike me (I’m usually non-confrontational in general!) I’m not sure what’s going on with my mood to be honest, but I’m hoping the anger will settle down. When I get angry I just see red…it doesn’t matter how small the thing is, but it builds up into this rage that I am struggling to keep control of. Having thought about it, I have realised that it is probably due to the unresolved anger I’ve had for years, especially regarding the ex. SO when I get angry, it’s not just the thing I’m angry about, but 4 or 5 years****** of anger which I never really let out. So that’s something I need to deal with through counselling, maybe…. I’m on 2 waiting lists (uni and NHS – fun fun fun) so we will see! **You can find out more about them on my Who I write about page, which I have now updated! ***This is not to say I thought she was a horrible person, more that she wasn’t an (openly) caring person – which turns out not to be true. ******I say 4 or 5 years because even though the relationship was 3 years, there was more or less 1 year either side of the relationship where he controlled me. This is my 100th post on AnxiousElephant! It hasn’t been all that long since I started my little blog, and somehow I’ve managed to write 100 posts! I wanted this post to be special, and to have something really interesting or meaningful to say, but I don’t. I want to say A HUGE THANK YOU to all of you! And here’s a list (because who doesn’t love lists?!) 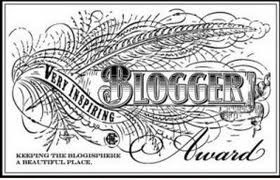 of reasons why blogging is great! It is (or can be) FREE! You can keep track of your moods/feelings/whatever you want to write about! So now I’m hoping I make it to 200 posts!!! So there we have it, 11 things to try and stick to…let’s see how long they last! **Small pieces of work, not essays etc, they take ages!! ****This will never happen, but worth a shot…I’m the most disorganised person in the world! And in normal text is stuff that hasn’t been done or started yet. Not too bad really, there’s only one thing I haven’t started yet, and that is the post about the appointment with the psychiatrist, which I will probably write tonight. The stuff I got done is admittedly the easy/more interesting stuff. 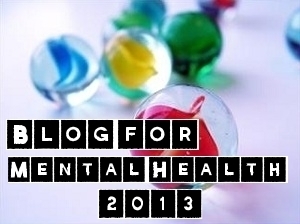 I spent several hours yesterday catching up with everyone’s blogs! Went on a walk into town and got a whole herd of cleaning supplies*, wrote some bloggy stuff and skyped my boyfriend, my friend (Sheep) and my parents. Not bad, not too bad at all. When I say stuff I sort of did or have started, what I mean is I did have dinner, but I’m not sure putting tortellini in boiling water for 1 minute counts as “cooking something proper for dinner,” however today I’m making a stir fry – yum yum! As for the cleaning, I’ve made a start in the kitchen, and was planning to clean the shower but I can’t get the dirt to come off (eww!) so will have to try with a scourer or something! Then today I finally started unpacking, still got a long way to go but hopefully I’ll finish that this evening. I think I take on too much at once, but in case you haven’t noticed, I’m feeling remarkably POSITIVE today, and I don’t even mind that I failed to complete my list yesterday – because *drum roll*… IT DOESN’T MATTER! Hope everyone else is having a positive day too!! *I wonder if there is a collective noun for “cleaning supplies”, I shall stick to herd! Today, at 12pm I rang the people who manage problems etc at my new house in Lancaster to tell them my internet wasn’t working, and that the microwave wasn’t working. By 12:10, a man called Rob (from IT) had phoned me, and was talking me through how to fix the internet. And by 12:20, I had internet!! So today, I am thankful for a lovely man called Rob, who knows about internet!! So, which would it be? If you had to lose one of your senses? When we got back it was about 2:30am, and my boyfriend was allowed to stay round (he’s not usually), so we had lots of lovely cuddles, which was nice as I was going to leave the next day! On Thursday, I had my appointment with the psychiatrist. I am going to write about it properly later. Afterwards, I went for breakfast with my boyfriend and cheese**. We had pancakes at Wetherspoons (I would recommend these if you ever get the chance!) I had mine with maple syrup and bacon… sounds strange, but an AMAZING combination!! On Thursday night I stayed at my Nannie’s house in the Midlands (about half way to Lancaster), it was really nice to see her, but sad at the same time. She has Alzheimer’s disease, and it is very sad to see her so different to how she used to be. We had the same conversations over and over again, and she had no recollection that we had already talked about these things. Later, we went out for dinner and had a wander around the city. I am glad to be back, I do love Lancaster – such a cute and pretty town. It is quite cold up here though, and I could see my breath as I talked – in September!! On Saturday morning, I had to be on campus for 8am (this time does not usually exist to me, let alone getting up at 6:30!!) and started my day as a “Grizedale accommodation guide”. I basically spent the entire day explaining about the accommodation (which is where I lived last year) and telling everyone that Grizedale is the best college to be in! Gotta love college spirit! I was very pleased with how the day went. I felt a bit unsure and nervous at the beginning, but within a short time I settled into the role, and actually quite enjoyed it! No anxiety in sight!! 😀 I felt a great sense of achievement at the end of the day, I had received only good comments about my accommodation tours, and one person even said “It was worth coming just to meet you,” which was lovely, even if it was a bit strange. So now we’re back to today, and I have already explained what happened, so now… I’m back! Sorry about the length of this post, if you’ve got to the end thank you so much for reading my ramblings! * 10 Ellie points if you get this reference! *** the orchid – of course!